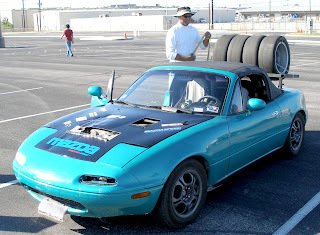 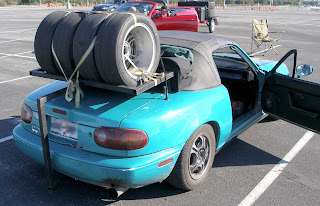 One Hot Lap: Too Much Tire, Too Little Car, What To Do? 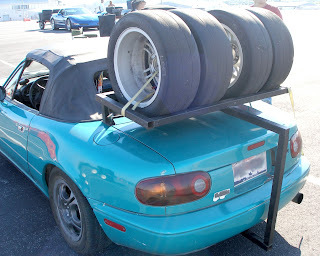 "unique and sensible competition tire carrier"
to the trailer hitch and goes up and over the trunk. your race tires to the track without trailering them.